Did you ever think you’d get good food at a gas station? Me neither. When Fast Gourmet opened at the gas station at 14th and W this summer, I assumed that it was a pre-made sandwich place that was at best mediocre. It’s in a gas station after all! Well, I was wrong. A reader wrote me singing their praises, I saw this SILF piece in BYT – and it was decided, time to check out the gas station sandwiches. 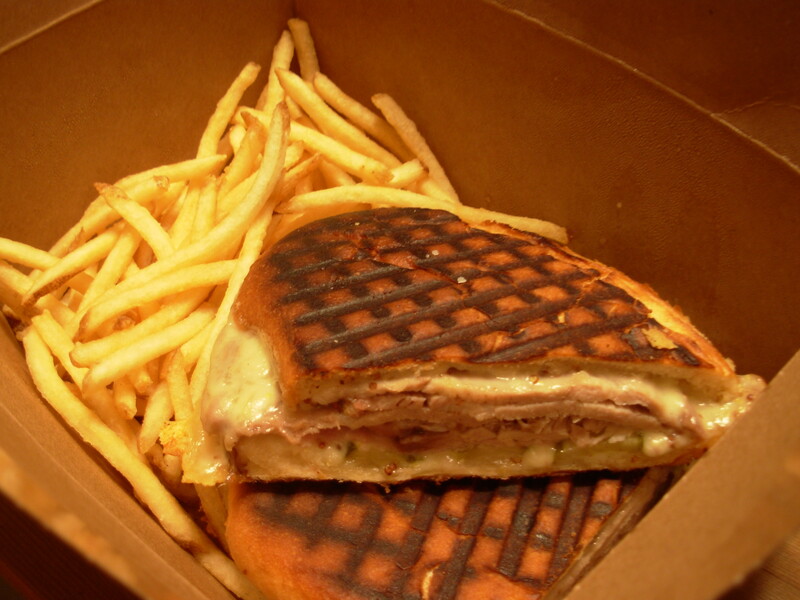 The owners are Uruguayan, and while there menu is quite extensive – we decided to go with the Cuban sandwich ($8.50) based on BYT’s recommendation and the Chivito ($14) the Uruguayan national dish. My boyfriend’s father is from Cuba, and boyfriend’s spent a good amount of time in Miami and loves Cuban sandwiches. His standards were set high – but Fast Gourmet didn’t disappoint. They make their own bread and you can tell, it’s what makes the sandwich. They also slow roast the pork for 7 hours (amazing). Boyfriend pronounced it the best he’d had outside of Miami. But the real star? The Chivito. I guess we shouldn’t have been surprised given the owners are Uruguayan, but MAN is this a sandwich. It features steak, ham, bacon, mozzarella cheese, olives, slices of hard boiled egg, lettuce, tomato, and peppers. I couldn’t finish my half, but it was amazing. It is $14 but it is worth it. The portions were huge, and the sandwiches came with fries. Honestly, the fries weren’t good and weren’t necessary, the sandwiches were plenty filling and spoke for themselves. Fast Gourmet is open till 5:30 am on Fridays and Saturdays – let me tell you this is some great drunk food. Seriously, go there now – the food is great, the people are friendly, and since the location is so out of the way it hasn’t gotten crowded yet. I can’t imagine that will last much longer. 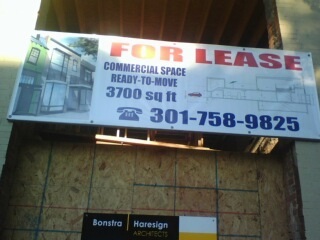 So we’re still not sure what this space will become, but it is for lease. 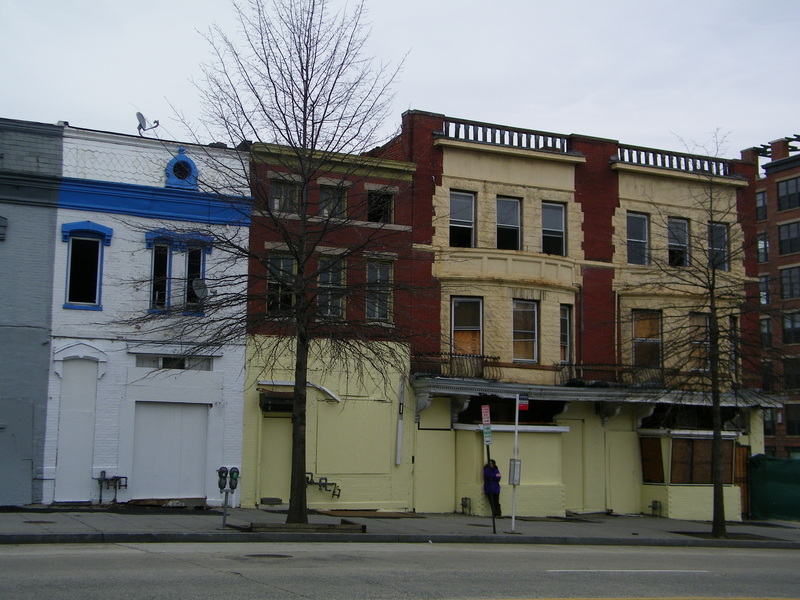 Prince of Petworth noted that the permit listed a restaurant as a possible use for the space, but I don’t think that’s enough information to say for sure that it will become one. 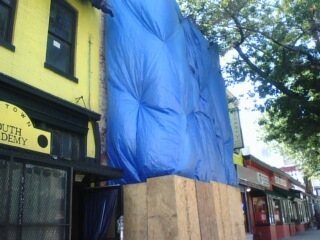 I went away for the weekend and walked by this place Thursday morning (when it looked like this). Walking by Sunday afternoon, it looked like this. This is a lot of progress on the place (especially after it was considered dangerous enough to be demolished last Spring). No word on what will be coming here, but here’s the website of the architecture firm that’s fixing up the building. There’s been permits up at this building, between Midtown Academy and Dynasty Restaurant, for a while. The one they had for “new floors, new fire stairs, new electrical systems and new fire alarm systems, as well as being fully sprinklered” was issued last May and expired. In April of this year they got it renewed. So it looks like they’re finally doing said work. We’ll see what happens. And, apologies for crappy cell phone pic again. I keep forgetting to bring my camera with me in my bag. 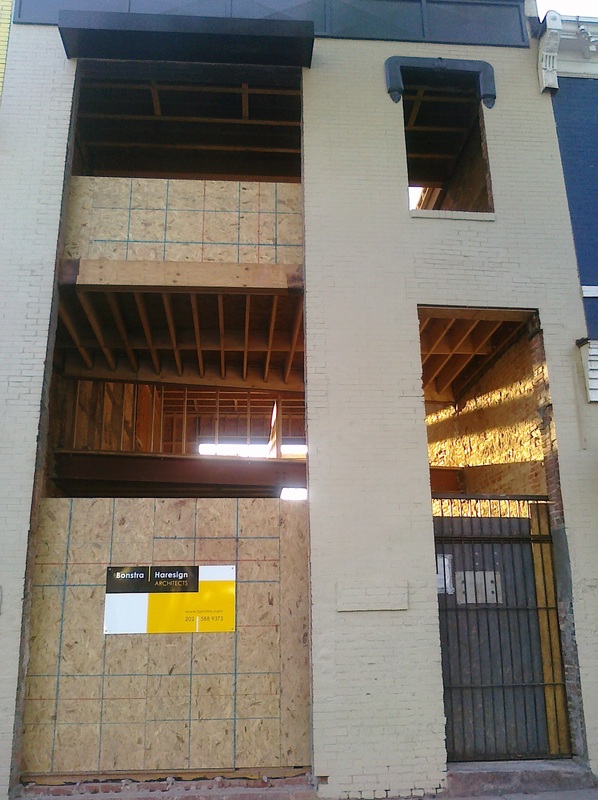 The building that had been under construction at 13th and W appears to be done and is looking nice. While PoP once speculated it would be a convenience store/bodega, I looked at the permits and found out it’s going to be a multi-family home. 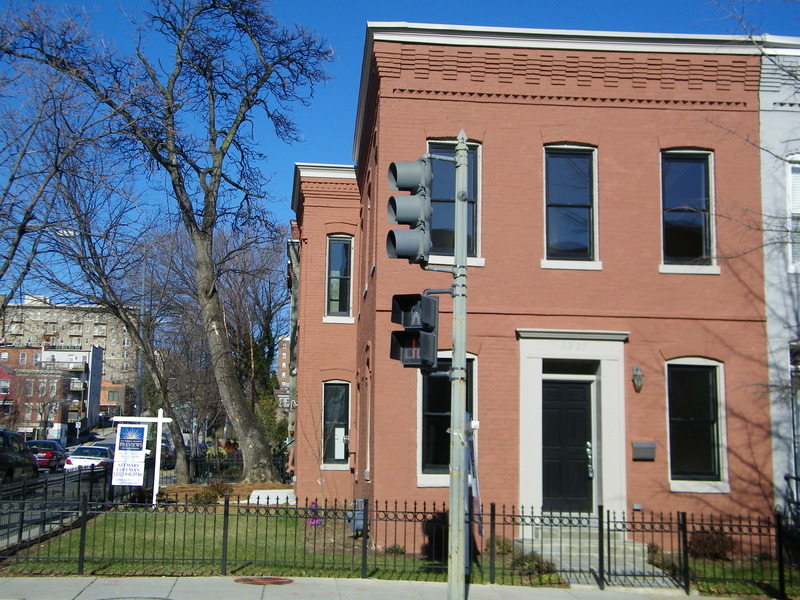 It’s now for sale for a bit under a million – I’m confused though, doesn’t look like it’s multi-family but rather a single-family home. Not sure why the permit was for a multi-family home.